Leung Kei-cheuk, aka GayBird. Born and educated in Hong Kong, and he was graduated from the Hong Kong Academy for Performing Arts with a master degree (music composition and electro-acoustic music) and Hong Kong City University with Master of Philosophy (creative media). Since 1996, he has started working in the Hong Kong music industry as music director, composer and producer for over a hundred of music productions, concerts and TV commercials. He has also participated in music creation for theatre productions, and has collaborated with Zuni Icosahedron, Edward Lam Dance Theatre, Hong Kong Arts Festival and Tsumazuki no ishi (Japan). In addition, GayBird also creates theme song for movies, including for Everlasting Regret, Running On Karma, Hold You Tight to name but a few. His works have been nominated or awarded in Asian Composer League music Competition, CASH Golden Sail Music Award, Hong Kong Film Award, Taiwan Golden House Film Award and TVB Music Award, etc. His contemporary music compositions has been performed in many international music festivals including World New Music Days (Sweden) by International Society for Contemporary Music, Asian Music Festival (Taiwan and Japan) by Asian Composers League, and Musicarama (Hong Kong), etc. GayBird is a core member of PMPS Music, a cutting-edge production unit in blending alternative cultures with contemporary music, and dedicated in expanding vocabularies in the mainstream music industry. In his own music development, he has also formed an electronic group – Multiplex and published the debut album, Snow in June as early as in 1995, with music across neoclassical to electronic. The album was produced by Lau Yee-tat. He later returned to focus on his personal music exploration, and delved into the sonic terrain of analogue synthesizers that opened up to him, and resulted with the album Made by Gaybird published in 2002. 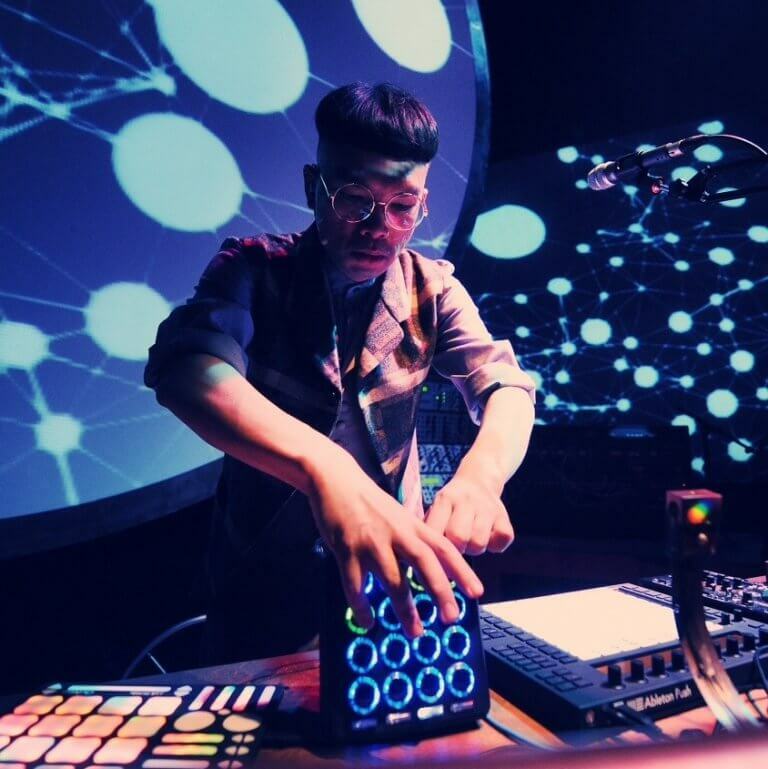 In 2011, he collaborated with a few Hong Kong new media artists, and successfully brought up a new media music experiment – Digital Hug. The production was awarded Hong Kong Design Award 2011 Bronze Award for new media experiment/performance. GayBird was awarded Best Electronic Music Artist at the Chinese Music Media Awards 2012 for the album of same title. In 2012, Digital Hug has already toured to MaD Forum (HK), Open Box Series by Macao Cultural Centre (Macau), FILE – Electronic Language International Festival (Sao Paulo, Brazil), and it will also be presented at the Cloud Adventure – 2012 Digital Art Festival (Kaohsiung and Taipei) later this year.